Learn about modes with the Musicarta Modes Workbook! The Musicarta Modes Workbook digital home-study download is now available. Existing Musicarta Modes series pages have been ported over to the new members-only Modes Zone. This Musical Modes page is now the sample content page for the Workbook digital download. Musical modes are scales with a different order of whole-tone and semi-tone steps to those used in the modern Western major scale. This makes music based on them different and interesting, and is the reason for their continued attraction. The familiar Western major scale is actually one of the modes – the one which over time has ‘won out’ because the chords made from it offer the richest and most satisfying harmony to the modern ear. Only three of the other modes generate chord families still used in popular music. 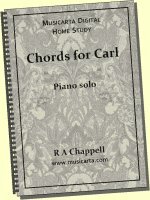 These modal chord families offer the songwriter-composer an interesting alternative to conventional modern harmony and good opportunities for improvising, and are the subject matter of the Musicarta Modes Workbook. 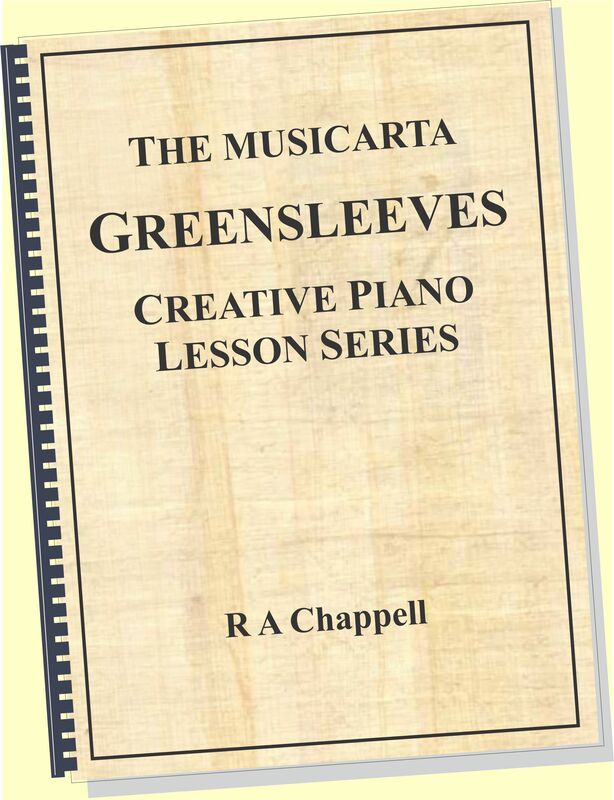 The Musicarta Modes Workbook does not set out to give a complete historical or academic account of modes – only to explain and teach what is useful in modes to the modern popular keyboard player and songwriter-composer. It offers plenty of modal chord sequences for practice and enjoyment, and will acquaint your musical ear with the uniquely modal sounds so you know what to look for when creating music or attempting to play by ear. 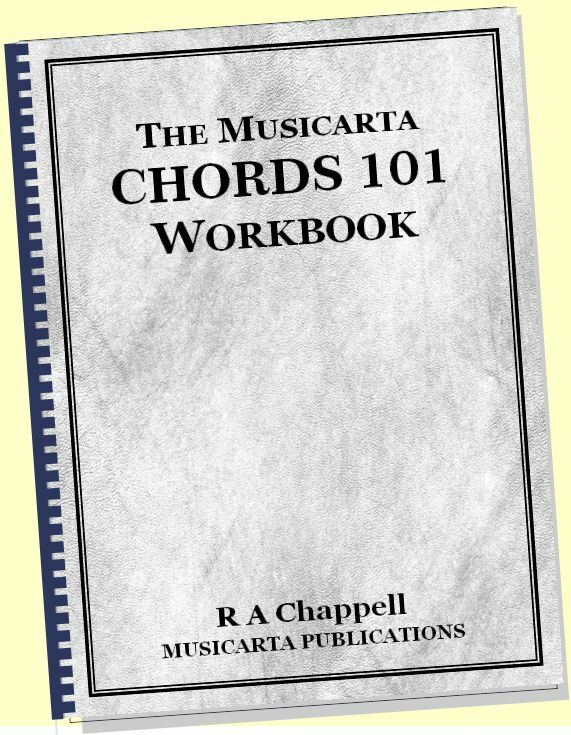 The Musicarta Modes Workbook PDF file. This file will open with any version of Adobe PDF Reader. The Modes Workbook MIDI folder – containing the MIDI files of all the musical examples in the Workbook. MidiPiano 215 – the virtual keyboard you use to play the MIDI files as teaching videos. MidiPiano is simple to operate - you can find full instructions via the MIDI PIANO tab on the main site navbar. A complimentary folder of sight-reading flashcards for your studying convenience. Most of the Musicarta digital home study titles have started life as free-to-air web pages and then become home study downloads with the web pages removed. The Modes Workbook breaks new ground. You still get a pdf Workbook to print off for hard copy as you work through it, but the web pages stay online and become ‘members-only’ Workbook-online pages which you access through a password-protected Modes Zone home page. Like any other online educator, Musicarta is committed to expanding and refreshing its study programme content, and the new study paradigm, with flexible on-line study pages, facilitates this. New Modes Zone content will be announced in What’s New in the Zone sections both here on the Musical Modes page and in the password-protected Modes Zone home page. Here are some recent samples. (NOTE that some of this material is ‘hot off the press’ and pre clean-up quality!) Expecting to see many more in the weeks immediately following the project launch! New material is constantly being added to the Musicarta online offering - nd the Modes Zone is no exception. Here you can keep up-to-date with newly uploaded or imminent modes-focused teaching and learning material. If you can crib it by ear - good for you! If not, get the Modes Workbook, where you'll have access to the members-only Modes Zone and full analysis and teaching notes. Here are some recent samples. NOTE that some of this material is hot off the press and pre clean-up quality! Modes Diary 08-07-14 "Now That I've Found You" is now a fully fledged web page - accessible only via the Modes Zone members-only page. Modes Diary 24-04-14 - the Five-Chord Mixolydian Workout - is now a fully fledged web page, accessible only via the Modes Zone members-only page. Lady Eleanor now has here own web page - click through via the New Pages section (RH nav) on the Modes Zone study portal page. Additions will also be announced on the Musicarta blog page – bookmark the page and visit regularly or get the site RSS feed for automatic notifications. Announcements also appear on Mister Musicarta Facebook – like us to get bare-essentials notifications – and the new audios are usually posted on [Mister Musicarta Soundcloud] as a first step. For Musicarta Publications discount codes, subscribe to the Musicarta Newsletter. Don’t read music so well? No problem! Many great popular-styles keyboard players don’t read music at all well! With Musicarta home study learning material, this needn’t be a disadvantage – Musicarta teaching material uses a multi-pronged approach which caters for students with not-so-good sight reading skills. For example, the chords needed for a riff are always presented on keyboard diagrams, and several other easily grasped shorthand ways of writing music down are also used. (See sidebars, this page. )\Most importantly, MIDI files of all the examples in the workbook ship with the title, plus the MidiPiano virtual keyboard to play them on. 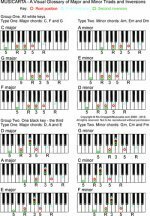 MidiPiano turns these files into mini teaching videos for the musical examples in the Workbook. Watch this demonstration of a practice drill set to repeat, then slowed down using the MidiPiano ‘Speed’ control. Accurate MS (written-out music manuscript) is however presented for practically all the musical examples. In fact, this from-both-ends teaching method benefits all parties! 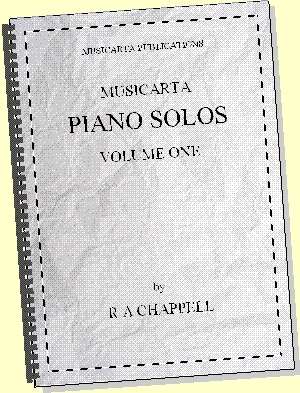 Not-so-good readers will see music they have learnt to play at the keyboard written out formally and become gradually more at home with proper MS.
Proficient readers will be encouraged to discover and explore music ‘without the dots’ and will start to see the music in the keyboard – often a factor in choosing Musicarta in the first place. When it comes to modes, the first difficulty facing the modern popular-styles keyboard player is knowing how just what – out of the masses of available information about the modes – is actually worth knowing. First comes the distinction between modes as scales, and modes as a system of keys. Without knowing how to draw this distinction, many hours can be spent playing the modes as scales with little or no payback. Thirdly, there is the matter of turning information worth knowing into useful keyboard skill. Only playing modal riffs in a methodical, structured way will do this for you. Trust Musicarta to ensure you maximise return on your practise-time investment! Browse the other project content sample pages to see how the Musicarta Modes Workbook guides you safely through this maze and delivers you to high ground with a spectacular view over the Modes Zone! Modal harmony is at one and the same time more ancient than modern tonality and also refreshingly original, and a surprising amount of music you hear every day – from film soundtrack to the piped music in your local gym – is based on modes. If you don’t know how to find the modal chord families, your attempts at reproducing these sounds using conventional harmony will quickly go wrong. Expand your harmonic vocabulary and get modal options into your keyboard composing! 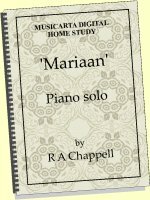 Mister Musicarta recognises that not everybody wants to play solo piano pieces exactly the way he does! There are plenty of riffs in the Modes Workbook, but the Workbook – as a course of lessons – is as much about tuning up your musical ear as getting your fingers moving! The Western music we hear is based either on the classical major-minor system (and this includes most pop and jazz) – or it is based on the modes. A knowledge of the modes therefore forms an essential part of being able to ‘play by ear’ – either on the spot or (more likely!) after a little work. Like a knowledge of ‘straight’ harmony, a knowledge of modes gives you a better basis for making an ‘educated guess’ about that next chord. But just reading about modes won’t get you there. You need repeated, hands-on exposure to the modal tonalities to begin to recognise the characteristic sound of modal chord sequences. Revisiting the purpose-built modal riffs in the Musicarta Modes Workbook as you fine-tune and develop your performances virtually guarantees that the characteristic modal sounds will sink in. 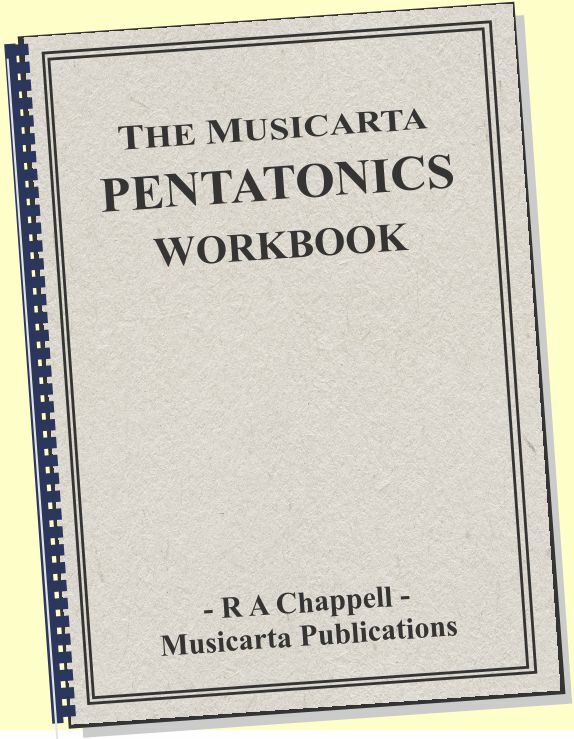 The Musicarta Modes Workbook is an attractive point of entry and a methodical syllabus for both enjoyable musical exploration and sound music-theory progress. Many aspiring and self-motivating keyboard players are unable to find teachers who understand their needs and aspirations and have the knowledge and teaching material to satisfy them. The alternative is Musicarta – sector leader in popular music styles distance learning! 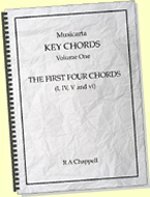 As well as being a thorough introduction to modes for the modern keyboard player/composer, the Musicarta Modes Workbook is also a practical workbook for learning and improving popular-styles keyboard technique across the board. Many attractive, syncopated, modern keyboard textures are methodically explained and taught. You can watch many examples of the Musicarta keyboard style on the Mister Musicarta YouTube channel. In mainstream piano teaching, you can either play a piece or you can’t. Musicarta thinks learners deserve a better deal! All the riffs in the Musicarta Modes Workbook have ‘stepping stone performances’ along the way that you can take away and enjoy playing while you tackle the next level of rhythmic or keyboard-texture development. 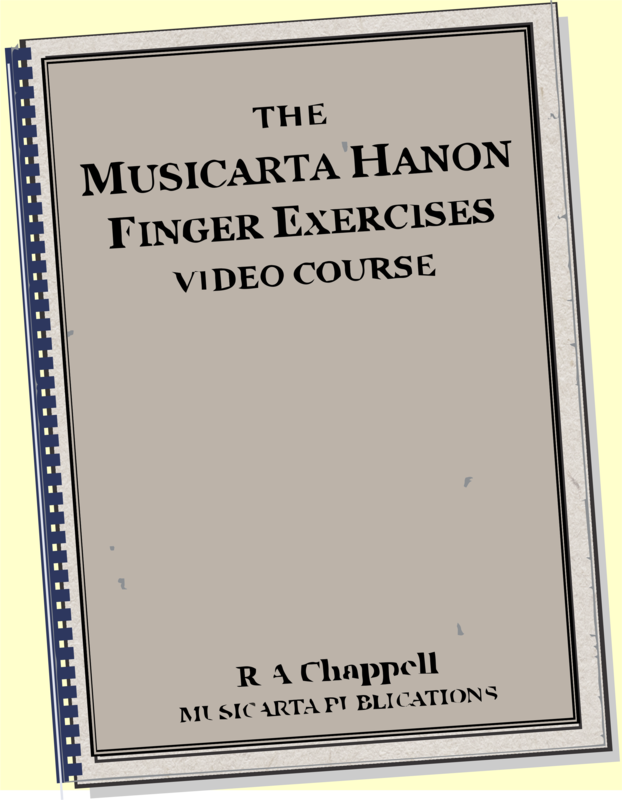 This has proved a great motivating feature of Musicarta teaching material. In many cases, learners have found that they accomplish more in performance terms from just one Musicarta practise session than from a whole term’s-worth of conventional lessons – at a fraction of the cost! Stay in touch with the site RSS feed. Subscribe to Mister Musicarta YouTube for news of the latest MMYT modes teaching and performance videos. Posts and upgrades are also announced on Mister Musicarta Facebook – please like us and spread the word! Finally, subscribe to the Musicarta Newsletter to be sure of getting discount codes for Musicarta digital home study downloads.